Suzanne Kompass holds a Bachelor Of Music degree in vocal performance from WESTMINSTER CHOIR COLLEGE in Princeton, New Jersey and a diploma in operatic performance from the UNIVERSITY OF TORONTO. She now lives in Brisbane and is Head Of Vocal Studies at the SUNSHINE COAST UNIVERSITY. Her operatic engagements have included the roles of Susanna in THE MARRIAGE OF FIGARO, Mimi in LA BOHEME and Adele in DIE FLEDERMAUS. She has appeared as Hanna Glawari in THE MERRY WIDOW, Lisa in THE LAND OF SMILES and Violetta in LA TRAVIATA all with the VANCOUVER SYMPHONY. For OPERA YORK in Toronto she has sung Marguerite in FAUST and the title role in MANON. For TORONTO OPERA LAB she has appeared as Pamina in THE MAGIC FLUTE, and for TORONTO OPERETTA THEATRE she has sung the title role of LINDA DI CHAMOUNIX, Lisa in THE COUNTESS MARITZA, Gabriella in LA VIE PARISIENNE, the role of Marie in Albert Lortzing’s ZAR UND ZIMMERMAN and the title role in Emilio Arrieta’s opera, MARINA. She has appeared, at the invitation of Gian Carlo Menotti, in performances of his opera, JUANA LA LOCA and of Gluck’s L’Ivrogne Corrige at the SPOLETO FESTIVAL in both Spoleto, Italy and in Charleston, South Carolina. Suzanne Kompass has enjoyed an extensive concert and oratorio experience. While at WESTMINSTER CHOIR COLLEGE at Princeton, she sang as the soprano soloist for the preparation of major oratorio concerts and recordings with the NEW YORK PHILHARMONIC ORCHESTRA, as part of which commitment she was soloist in the Verdi REQUIEM and Mahler’s SYMPHONY NO.2 both conducted by Zubin Mehta, in the Brahms’ REQUIEM under the baton of Carlo Maria Guilini, in the Fauré REQIUEM and Beethoven’s SYMPHONY NO.9 both conducted by Robert Shaw and also in Beethoven’s SYMPHONY NO.9 under the direction of Daniel Barenboim. In addition she has sung under the direction of Martin Katz, Christian Badea, Elmer Iseler and with Australian conductor, Sean O’Boyle. Her other oratorio performances include Bach’s ST. JOHN PASSION, MASS IN B MINOR, MAGNIFICAT and CHRISTMAS ORATORIO, Bernstein’s MASS, Bizet’s TE DEUM, Dvorak’s MASS IN D, Elgar’s CORONATION ODE, Handel’s MESSIAH and ISRAEL IN EGYPT, Haydn’s THE CREATION, ST. THERESA MASS, CORONATION MASS, MASS IN THE TIME OF WAR and NELSON MASS, Mozart’s REQIUEM and SOLEMN VESPERS, Schubert’s MASS IN G and MASS IN A MAJOR, Vaughan Williams’ SEA SYMPHONY and SERENADE TO MUSIC and Vivaldi’s GLORIA. She has appeared in Haydn’s CREATION for the TORONTO CLASSICAL SINGERS. 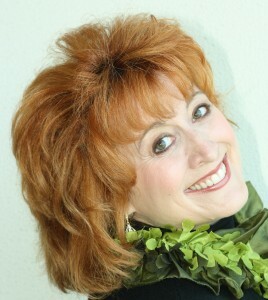 For over a decade Suzanne Kompass toured as soprano soloist with the renowned Canadian lyric tenor, Mark Dubois, performing hundreds of concerts throughout Europe, Canada the USA of their celebrated BROADWAY CELEBRATIONS CONCERT SERIES under the baton of internationally famous CINCINNATI POPS ORCHESTRA conductor, Erich Kunzel. She has given concerts throughout the USA and Canada with such orchestras as the TORONTO SYMPHONY ORCHESTRA, VANCOUVER SYMPHONY, the NEW JERSEY SYMPHONY and the PENNSYLVANIA SYMPHONY ORCHESTRA. She has presented concerts of operatic arias in the program of the OAKVILLE WATERFRONT FESTIVAL in Ontario and has collaborated directly with such leading composers as Peter Schickele, with John Cage, for performances of his EUROPERA 5 and SOLOS FOR VOICE 93-96 and Olivier Messiaen for performances of his song cycle, TROIS MÉLODIES. Her platinum selling album, A CHRISTMAS HOMECOMING, recorded with Canadian jazz composer, Hagood Hardy, culminated in sell-out concerts and television appearances with the TORONTO SYMPHONY ORCHESTRA. In Australia she has appeared as soprano soloist in ANDREW McKINNON CONCERT PRESENTATIONS’ performances of SCOTLAND THE BRAVE, with the ADELAIDE SYMPHONY ORCHESTRA and the WEST AUSTRALIAN SYMPHONY ORCHESTRA, in HAMER HALL in Melbourne and at the SYDNEY OPERA HOUSE. She also appeared in an ANZAC Day event as soloist with the QUEENSLAND SYMPHONY ORCHESTRA. In past seasons since 2012, as well as appearing regularly in concerts in New York, her engagements in Australia included being soprano soloist in LATIN FIESTA with the BARRIER REEF ORCHESTRA in Townsville. She is engaged to create the role of Ada in ORANA PRODUCTIONS‘ world-premiere season of MIMMA in 2019.